1) "classic" auctions phases with multiple turns are slowing down gameplay to my eyes, encouraging to get the item at lowest price possible. Depending on players behavior, it even can be endless. 2) I play a significative number of games with just 2 players. And the least that we can say, is that classic auction mechanism is not enhanced in this case. Without avoiding them really, a part of me was remaining skeptical with this type of mechanics. But one day, I had a revelation. 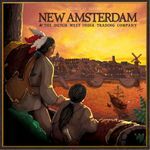 It cames out with my first game of Goa : I was suprised to appreciate the auction phase so much (like other parts of this fantastic game). What did make the difference ? Once around bidding, for sure. Principle : during each auction, each player can bid once (or pass). Here comes a list of games I know using this principle. - Players are alternatively designated as "the Auctioneer" for an item that they previously selected. 1) He can claim the item for himself, paying the amount of the highest bid* to the bank. 2) He can let the highest bidder claim the item and take the appropriate amount of money from the bidder. * : Official rules update, Auctioneer pays highest bid -1. In Ra, when an auction happens, each player has one chance to raise the bid (in Suns) or pass. Each player only has 3 or 4 Suns total per each of the 3 rounds, so every decision on whether to bid or not is VERY important - you have to really pay attention to what's on offer at the moment and what your opponents may want/need. Sometimes an auction is forced on the players when no one wants what's on offer; then everyone just passes in rapid-fire succession. So in those cases you're not thinking much, but for all the other ones, it's great - you have to be on top of your valuation game at all times. - Two or Three action tokens which determine the actions you will make in the next action phase, plus eventually a cash amount. - He makes the first bid, other players can make a higher bid (or pass) in clockwise order, once. - Current turn order token of the player who made the first bid is added to the items won ! Meaning, if I get the items auctionned by player with #1 turn order token, I become first player for the rest of the round, and he gets my turn order token until he wins an auction. Knowing that playing before others very important to get the best ships and land cards during the action Phase, I like having to bid for a lot that includes turn order token. You really have to try this game if you didnt! - A bid can outbid another player's inferior previous bid. This player has immediately to move its bid to another tile. As an alternative, he can take back his bid plus 1 coin from the bank (he renounces to get a tile this round). - When outbided, players can't change the amount of their bid, but they still have to respect the minimum amount for other tiles. When bidding, I like having to evaluate the chances I have to be outbided, and to plan on what other tile(s) I will be able to move if this happens. You always have to overpay or thake some risks! - Starting with player left of the Auctioneer, everyone bid once (or pass), ending with the Auctioneer. A bid must be higher than any preceding bid. 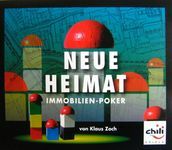 A 3-5 Feld Auction game made in 2011 and nominated for the same award that Bruges just was. Each player has a deck of 24 cards(4 each of cards numbered 1-6) which will be used to place bids in various auctions over 5 rounds. At the beginning of each round you must draw from this deck(as much as you wish) and separate these cards into different stacks that will be various bid amounts that can be used to place bids in various auctions during that round(I think there are about 8 auctions per round). The winner of the previous auction starts the bidding for the current auction, each player, going clockwise around the table, has one chance to use one of their bidding piles to place a bid(all bidding piles are face down, but if they are your bids you can check them to remind yourself of their value). When you place a bid you turn the cards face up. The highest bidder gets to do 3 various things, while 2nd and 3rd(at the higher placement) also get to do some things as well. This game is interesting in that even if you don't win a bid you can still do some things and so you have to decide if you are going for the win or simply to place(depending on your goals). Since you have limited bidding cards you also need to carefully decide how much to draw and how many bidding piles to make to accomplish what you need to. Also, alongside this there is a resource management aspect that you have to keep in mind as well. If you are a fan of once around bidding you definitely need to at least check it out! - In player order starting with the first player, each player is "the Auctioneer", and chooses one of the available fields to auction. - In turn, starting with the player to the left of the Auctioneer, each player – apart from the Auctioneer himself – can either make one bid for this field or pass. A bid must be higher than any preceding bid. 1) He can let the highest bidder claim the field and take the appropriate amount of money from the bidder. He remains the Auctioneer and chooses another available field to put up for auction. 2) He can claim the field himself, paying an amount equal to the highest bid to other players. In turn order, starting with the player to his left, the Auctioneer gives each player – including himself – 1 Taler until he has paid the full price. - You always have to calculate the optimal amount for your bid, trying to be at best position to get one more coin that some other players when Auctionneer claims the field. This auction phase is devil ! Quite similar to Goa even if the rest of the game is less interesting in comparison. - In clockwise order, players are "The Auctioneer". - The Auctioneer chooses one of the available cards to auction. - In turn, starting with the player to the left of the Auctioneer, each player – apart from the Auctioneer himself – can either make one bid for this card or pass. A bid must be higher than any preceding bid. 1) He can let the highest bidder claim the card and take the appropriate amount of money from the bidder. He remains the Auctioneer and chooses another available card to put up for auction. 2) He can claim the card himself, pays nothing for it. His left-hand neighbour then becomes the new Auctioneer. This his the ancester of Industry, the auction phase is less tense to my eyes. Modern art has this kind of "once around" auction. * Fixed price (auctioneer names the price, and once-around people buy it or pass). 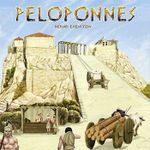 - Active player draws 1 to 3 goods tiles, and sets price. - Passive player buys, else active player must buy. 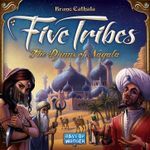 This is a game exclusively designed for two players, and the auction mechanism fits very well. the parent of Strozzi and MvS features a once-around auction, combined with the twist that not all players are eligible to bid. 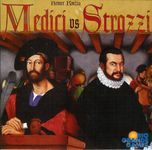 Superficially similar to Medici, Strozzi actually plays very differently. I think of it as an auction boiled down to its purest essence. There are only 2 valid bids (0 or 1), and you will win exactly 3 auctions. But the game is very tense and subtle none-the-less! - After everyone took place, the action phase is played : the more you paid, the earlier you play. - The auction is not the main mechanism, but it stil has sometimes a significative impact : you might have been noticing a good action to take, but how much worth the guarantee you'll have it ? How much is enough to discourage opponents, and how much is too much ? Interesting. - Specially good with two players, cause you want two consecutive actions and you want to prevent your opponent to do the same.